Toyota Everyday Heroes program honors Tracy Pointer among other influential women who are working to promote and grow sports for girls and women in their local communities. GROW was established in April 2007 in Nashville by Tracy Williams Pointer. The mission is to foster personal and professional development opportunties for multi-cultural women through a mutual interest in the game of golf. At the first lesson there were six in attendance and a year later the mailing list had grown by 10 times that many. At the two year anniversary mark, the GROW following was at over 100 women and continues to expand. There are plans to start affiliates in other geographical areas. We meet and take lessons together, participate in golf tournaments, and plan casual play dates. Lesson updates, news, and the calendar of events is distributed via Women on the GROW, the official eNewsletter publication for GROW. It also features members, their professions, special interest, golf level, and updates about GROW and golf events in the community. For more information about GROW, lessons, and to subscribe to Women on the GROW, send an email to info@growtoday.org. 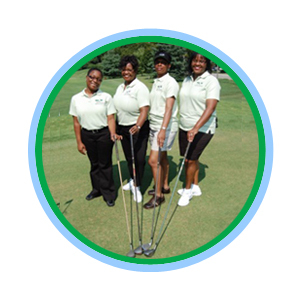 Members are beginners and seasoned golfers from various industries and professions and include women in business, retirees, mothers who want a day out, etc. GROW members have various interests and skill sets in the game from beginners to advanced. Some just have an appreciation for the game and volunteer at golf tournaments, while others play every chance they get! Lessons are available for beginners and clinics allow members to enhance their skill set and enhance their game. Scheduled play dates are offered in a non-competitive environment and foster networking opportunities. Bring a friend who would enjoy learning a new sport that is challenging, fun, recreational and could present a lifestyle change.